Why Is programming an unnatural activity? “Why?” Is programming an unnatural activity? Could programming be made easier in a different form? Could programming be taught in a different way that makes learning easier? Or maybe we just have no idea how to actually measure what students know about programming. (1). My main problem with the Guzdial paper (this was more my problem than a problem with the paper) is I felt it didn't provide enough details or specifics on "Why it is so hard to learn to Program?" I need specifics and examples to get my head around things. Roy Pea, was a great find and perhaps not surprisingly (for me at least) the Resnick article was very useful. When High School students. in their second year of programming course, were asked what they thought the program would print 8 out of 15 predicted "Hello" would print after "10". 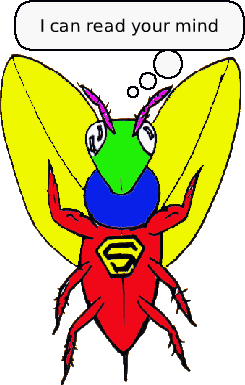 The Intentionality Bugs, is the idea in the child's mind that "the program has goals and knows or sees what will happen elsewhere in itself." "This sequential paradigm does not match the way the real world works: people and animals act in parallel, objects interact in parallel. As a result, many real-world activities can not be modelled in a natural way with sequential programming." He developed a concurrent or parrallel version of Logo (Multi-Logo), so the kids had a language/environment that more closely matched their view of the world. SideNote: I used to think and say that Concurrent Programming was really really hard. I had plenty of evidence to back this up and had heard and read much smarter people than me saying the same thing. Then I encountered Etoys (and later Scratch) and started teaching these to kids. And realized that Concurrent Programming is actually easier (although you do have the added complexity of syntonization issues) . The problem was not the topic/idea, it was the language we use to think about it. Resnick noted that "In general, students appropriated the idea of agents sending messages to one another quite easily." Too bad we don't teach more Smalltalk. "These bugs arise out of students' difficulties coordinating and orchestrating the activities of multiple agents." These bugs he divides into two type: Unintended Sequentiality and Unintended Concurrency. In these cases the student expected Sequetiality and got Concurrence (or vice versa). It seems that in designing Multi-Logo to deal with synchronization he provided two mechanisms: ask and demand. Where when you "ask" an agent something (ex: flash light - for 20 seconds) the request is queued up to be executed in the order received. When you "demand" the agent interrupts what is going on to perform the request (or it might simply put it at the head of the queue, I am not sure). It is interesting, at least to me, that Scratch, developed later by Resnick and his team, got rid of the ask and demand and went with a "broadcast" "wait" and "do for X seconds" to allow for synchronization. I believe this simplifies and avoids a number of problems for novice programmers.
" our current programming languages do not allow people to program the way that they think about the tasks"
Section: "Making tools better by shifting to Visual Programming"
"having students build their own visualizations had significant impact on those students’ learning." "It is a good idea for students to "play agent"--that is, act out what each agent is supposed to do. This activity requires a group of students, each playing the role of a different agent." I really like this approach with novices and often warn students "Step away from the computer and no one will get hurt". Having them act out the program and program each other is a good way to do this. In designing Multi-Logo he realized he did not go far enough in parallelism: "An alternate approach, of course, is to change the design of MultiLogo to match students' preconceptions. For example, I could redesign MultiLogo agents so that each agent could do several things at the same time, in line with students' expectations of "excessive parallelism." He later did have agents that can do several things at the same time. He also discussed the idea of design the environment match the students pre-conceptions. Would be interesting to find out what problems it solves (and those it doesn't) and what new problems it creates. If you read this far, thank you. And as a way of thanks, if you haven't already seen this it is a real treat. Lastly if you notice any "bugs" in this posts thinking, please comment and let me know. This work by Mr. Steve is licensed under a Creative Commons Attribution-Noncommercial-Share Alike 3.0 United States License.